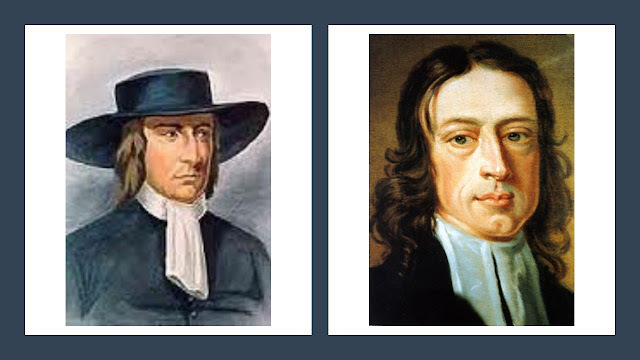 Previously we have noted that a number of key characteristics of the Quaker tradition reveal a spirituality that is creation-affirming and a witness that is proto-ecological. Quakers have tended to view the creation as essentially good and have expected the kingdom of heaven to be established here on earth, rather than in a spiritual heaven located elsewhere. In addition, as a result of their life-changing spiritual experiences, early Friends developed a sophisticated understanding of the creation and the human role within it. They asserted that the divinely-given wisdom and order of creation could be known by revelation alone, and that only by divine empowerment and guidance could humans live in harmony with this order in terms of a right relationship with and right use of the natural world. I want to argue that modern Green theology and biblical scholarship have produced an understanding of the status of the creation and the human relationship to it that is broadly consistent with the early Quaker vision. Like early Friends, contemporary Green biblical scholars and theologians make it clear that the good creation belongs to God, rather than to humans. Divine ownership obliges humans to view their relationship to the natural world in terms of usufruct. This is a right to derive benefit from someone else’s property so long as it is not damaged in the process. The creation is not seen as divine in the Jewish-Christian tradition; however, being divinely created, it is regarded as sacred. As a result, loving tending of the earth becomes an act of worship that honours its creator. Like early Friends, contemporary Green biblical scholars and theologians argue that our understanding of the human relationship to the creation should be based on the overall biblical narrative rather than on one or two isolated ‘proof texts’. In particular, they are critical of the traditional reliance on the notion of dominion in Genesis 1. Reading beyond chapter one provides a rather different emphasis. The creation account in Genesis 2 portrays humans as embedded in the physical world and not set above it. Humanity is formed from the dust of the soil and is given the task of tending the garden. Dominion in Genesis 1 is inextricably linked to the divine image that humans bear. However, in Genesis 3 this divine image is lost in the fall. As a result of the fall, humans become a disorderly influence in the world, disrupting its harmony and natural rhythms. Throughout the rest of the Hebrew Scriptures, the condition of the land and the productivity of the soil are frequently linked to human morality and obedience to God. Like early Friends, contemporary Green biblical scholars and theologians have emphasised the relative powerlessness and ignorance of humanity in the face of God and the vast complexity of the creation. A good example of this can be found in the Book of Job. In chapter 38 of this Book, God shows Job the full breadth and depth of the cosmos, making him aware of his limited knowledge, power and understanding. The cosmos has order but Job’s understanding is partial and he is forced to accept humility before the immensity and mystery of creation. In chapters 40 and 42, God further undermines Job’s pride by reminding him that he is incapable of controlling the cosmos. Only God can subdue the forces of chaos (Leviathan and Behemoth) and bring order. We can see in Job that, despite our delusions of grandeur, humans have fundamental limitations in terms of power and understanding. Human humility is a much-needed ecological virtue in the modern world. Like early Friends, contemporary Green biblical scholars and theologians argue that the scriptures describe a dynamic and fruitful creation whose elements are interrelated and interdependent. Humans cannot simply regard the earth as a commodity to be bought and sold, since they too are fully embedded in the community of creation. The Psalms reflect this vision of creation. For example, Psalm 104 gives praise for the generous extravagance God has shown in providing such a fruitful creation for all living creatures and Psalm 148 describes every part of creation giving praise to God the creator. The fact that God made a covenant with all living things (Genesis 9:9-10) and not just with humans shows that God cares for and seeks to be in relationship with the whole of creation. Like early Friends, contemporary Green biblical scholars and theologians reject forms of Christianity that focus on a conception of heaven and the apocalypse that is entirely other-worldly and which devalue the physical creation. They point out that in the incarnation, when the “Word was made flesh and dwelt among us” (John 1:14) God revealed a deep concern for creation and its importance in the divine plan. Rather than presenting heaven as a place people go to when they die, they argue that the overall biblical narrative suggests that heaven is coming ever more fully to earth (e.g., in chapter 21 of the Book of Revelation, the New Jerusalem comes down to earth in the renewal of the whole creation). Heaven and earth are not entirely unconnected places; heaven is the divine dimension of normal reality and the barriers between these two spheres are in the process of being broken down. Part of what makes Jesus such a key figure is that he breaks down the barriers between heaven and earth. This means that the Kingdom of God is already present in the world here and now. In this sense redemption is not human salvation out of a doomed creation, but rather the restoration of God’s purposes through the renewal (as opposed to replacement) of the creation. This process includes healing the dysfunctional human relationship with nature. We see a vision of this renewal in the testimony of the Hebrew prophets with their visions of reconciliation and shalom within history (see Isaiah 11:6-9 as an example). The announcement of the coming of the Kingdom of God on earth is a defining feature of Jesus’ ministry and he teaches his disciples to pray to God “Your kingdom come, your will be done on earth as it is in heaven” (Matt 6:10). We have seen how the radical spiritual experiences and understandings of early Friends led to a vision of the creation and the place of humanity within it that is now being reflected in, and confirmed by, the work of contemporary Green biblical scholars and theologians. As we face a progressively deepening crisis of sustainability in which human behaviour threatens the viability of whole eco-systems and therefore the future of most living species on earth, what does all this have to say about our faith and our practice today? The spiritual breakthroughs experienced by early Friends took place within a context of political turmoil and social upheaval. Could we be facing similarly turbulent times, and will this lead us to a comparable experience of spiritual insight and transformation?